the shuttle bus is the safest, fastest way to get out of NAIA Terminal 3 when there are no airport taxis around nor ordinary taxis in sight or when the taxi queues are too long for your patience. Commuting to NAIA termninal 3? from EDSA rotonda (get there via EDSA buses, jeepneys on Taft Avenue, MRT Taft Avenue Station or LRT EDSA Station), ride jeepneys going to Nichols and alight in front of NAIA Terminal 3 on Andrews Avenue. The same jeepneys also pass by the terminal going to Baclaran, EDSA Rotonda or SM Mall of Asia on your return trip. From Cavite to NAIA Terminal 3: board buses or vans to Baclaran and alight on Roxas Boulevard at the corner of Airport road. Transfer to a jeepney going to Nichols and drop off in front of the terminal. from Laguna, board buses going to LRT Taft Avenue. ride the LRT to EDSA avenue station (or a jeepney to EDSA/taft Rotonda). Board jeepneys going to Nichols. From Eastwood City, Libis, Quezon City, there's Citylink bus that goes straight to Newport City via C-5. From EDSA Makati, head towards Magallanes and turn left on SLEX. Turn right on the road going to Nichols (Sales Interchange), pass by Villamor Airbase gate, PAF Aerospace Museum the the terminal to your left. If you want to know how much is the overnight parking at NAIA Terminal 3, it's just PhP50.00/night (it's safe due to presence of security guards) or try the more expensive Park N' Fly service. Do you know how long it takes to get to Terminal 2 from Terminal 3 via the shuttle buses? Also, are there flights to Davao at Terminal 3? driving directions from Diliman, Q.C via c-5, is it straight ahead and are there sign boards at c-5 to finally get there? anonymous, nope. from C5 you need to turn right on Bayani Road (pass by libingan ng mga bayani) then left on lawton avenue going to Villamor Airbase then right on Andrews avenue. Or from C5's end, turn right on the service road then left on Nichols towards Villamor Airbase. hi again, thanks for the immediate reply. Kailangan po ba may connecting flight ka or whatsoever for you to ride the shuttle from T2 to T3? I'll be working at Naia T2 po kasi, so I'm considering transfering to T3, and then commute home. Hi, a follow up question. Are there any jeepneys with routes to Alabang or SM Bicutan from Terminal 3? And where would I be able to catch them? Thanks. Ia, T3 is my favorite terminal but there's no jeepney route passing there except the Nichols-Baclaran or from SM Mall of Asia. There's only the Citylink Eastwood City Libis bus to NAIA Terminal 3 also (bus fare is P38). how can i get to Terminal 3 from terminal 1? i am going to pick up my bother from Terminal 1 @5pm then catch our flight in terminal 3 @8pm same day. just wanna say that i have taken a minibus from the Sogo Hotel parking loop near Taft MRT Station to NAIA3 Terminal for only Php20.00 only. The minibus is labeled NAIA 1-2-3 so i presumed it will also pass thru the other airports. Payments are pre-collected so it is only Php20.00 all around. i am travelling to iloilo next month. i intend to go to Terminal 3 via the Citylink bus in Eastwood. the thing is, I am taking PAL, not CebuPac. Would I be allowed to use the shuttle buses from terminal 3 to terminal 2? thanks tutubi for this wonderful article, napaka helpful. di ko na ata kailangan pang magtanong dahil they've been pretty much answered already. keep your blog kicking!! Thank you so much. I don't need to post my questions here, it already answered by reading the post. I really appreciate it, thank you so much talaga. thanks for the helpful guide....i really appreciate it..
hi! Just want to ask if there are transportations (jeepney or bus) going from NAIA terminal 3 to MRT Taft Avenue? Because its way cheaper than riding a taxi. hello po,ask ko lang po pag galing ng laguna, anong way po ang dadaanan ko to reach terminal 3?thanx po. ask po sana from naia 3 going to dasma cavite.. tnx po..
how to get to pagcor-heritage from gil puyat station? Thank you so much tutubi for answering all their questions,really a big help.God bless you. My flight this sept. will be arriving at 2350h, may i ask if it's okey to stay at the arrival area of naia terminal 3 until dawn before i can proceed my trip to laguna (calamba), and pls. 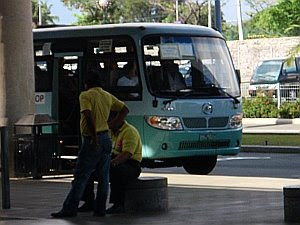 tell me where is the nearest bus stop or bus terminal for me to travel to calamba, laguna. just wanna ask, what about monumento to terminal 3? commute only..
how to get from Quezon Province to NAIA terminal 3 po kaya by bus? or which road or area of Manila to take off from a bus and just get a taxi? anonymous, LRT monumento to LRT EDSA then ride the shuttle or jeepney. just wanna ask if there's a shuttle or jeepney travelling from MRT taft avenue station going to NAIA T3 and if they're operating 24 hours? halo po! yung nabanggit mong hotels in front of naia3 .walking distant lang po ba? kasi sa umaga pa po ang flight ko @7 , anong hotels ito, na medyo mas recommended na hinde naman masyado kamahalan? salamat po. good day sir! how to go to NAIA terminal 3 from calamba? the easier way and cheap fare. please reply asap. i will be leaving this nov15 to macau china. gud am ask ko lang kung ano ang mga way papuntang terminal 3, galing a.bonifacio sa balintawak, thanks! sir/mam ask ko lang po kung panu papunta ng terminal 3 galing sucat/Bf..
Hi po..if iam here in Malinta Valenzuela anu po bang pwedeng masakyan papuntang NAIA terminal 3..
marami ba overnight parking slots sa naia terminal 3? Hi, I'm about to work in Resorts World and I'm looking for the best and cheapest way to commute. From EDSA Taft Avenue, what ride will I take? Is it the free RWM shuttle or the NAIA terminal shuttle? Parang wala pa akong nakikitang ganon. Hehe. For the Naia Loop shuttle, will I be able to alight at RW mismo or will I need to cross? Is it safe to cross andrews ave? Thanks! good day, ano po sasakyan from NAIA 3 to Alabang? Hi! is there also a shuttle from domestic airport/ terminal 4 going to terminal 3? Hi.. panu ba ako mkapunta sa terminal 1 from terminal 3 in cheapest way. hi sir. first time q to travel n commute. from quezon province aq and im going to boracay. pano po kaya aq mkakarating s terminal 3 esp 630 am flight q. thnx. 24 hours ba ang shuttle bus?